We are blessed with an abundance of seasonal and year around fruits where I live. Enjoying the health benefits of fruits is easy. Fruits are rich in fiber, phytonutrients, vitamins and minerals that are essential to our well-being. 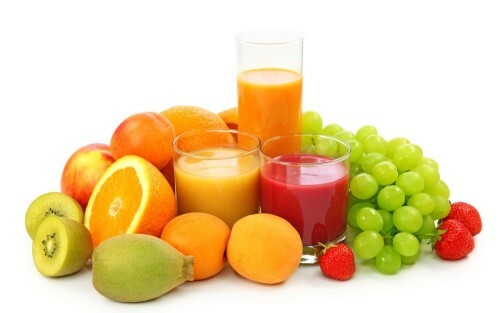 The health benefits of fruits protects you from chronic diseases, heart disease, type 2 diabetes and some types of cancer. They help you detoxify your body, lower your cholesterol and blood sugar levels and (drumroll) play a vital role in weight loss. So today, I would like to share some of my favorites with you. Favorite, because they are easily available and packed with nutritive value. The best thing about fruits is, you can grab one and go and eat them as a snack, toss them into salads, add them to your breakfast cereal, use them in your baking or enjoy them as juices. To get the most out of the health benefits of fruits, eat a variety of fresh fruits as different fruits bring you unique nutrients. Green or yellow or red, mangoes are considered the King of fruits and are packed with antioxidant vitamins A and C, potassium and fiber. They are so tasty! Just peel away the skin, or not and remove the seed to enjoy the delicious fruit. You will always find apples in our refrigerator and our favorite type is the juicy, crunchy Fuji. 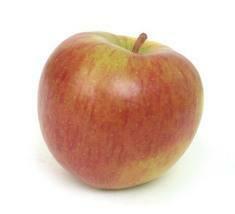 The apple’s flavonoids promote heart health, keeping cholesterol levels low. We get them in a variety, and besides keeping the doctor away, particularly the cardiologist, (unless you’re dating him/her) apples can balance your cholesterol levels. You can grab an apple on the go as a snack. This fruit does double duty – it reduces bad (LDL) cholesterol and increases good (HDL) cholesterol. Apples also protect you from asthma and COPD (Chronic Obstructive Pulmonary Disease). A family favorite, this sweet, musky fruit brings lots of vitamin C, and a good source of folate and potassium. Papaya contains the enzyme papain useful in protein digestion. This is my son’s favorite fruit. Chock-full of Vitamins A, B6, and C, folate, potassium and fiber he loves to eat it after a brisk walk. While the pulp is tangy and tasty, I read somewhere that eating the white layer of skin on the fresh orange controls your appetite for almost four hours. 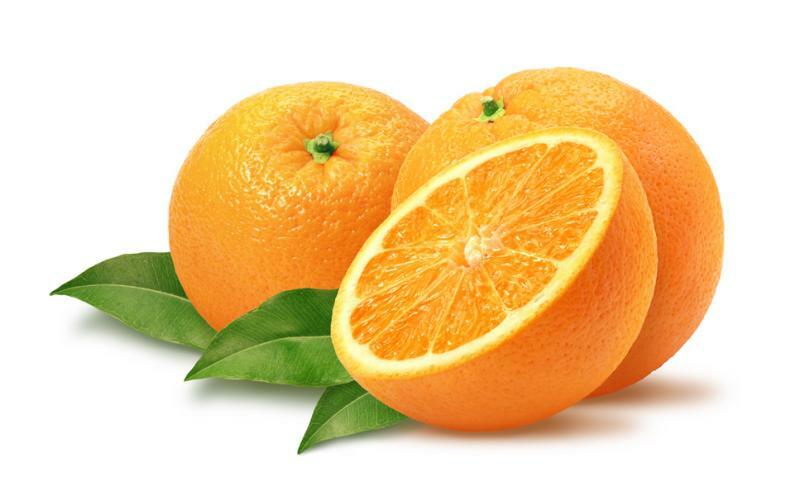 Oranges also contain a type of antioxidant called flavonoids that protect us from metabolic syndrome including coronary artery disease, stroke and type 2 diabetes. It prevents the hardening of the arteries (atherosclerosis) which causes heart attacks. You can also eat the peel, if you like, and improve your resistance to cancer. Or add it to a salad. Or make it into marmalade. Or juice it for a fresh burst of energy! This gorgeous fruit is loaded with antioxidants and fiber. Filled with jewel-like edible seeds, you can either choose to eat them as they are, or juice them, or sprinkle the seeds on yogurt and desserts. Half a cup of Pomegranate seeds is 80 calories. Juicy, sweet, and acidic, the guava is a tasty fruit. The edible rind may be white, yellow, pink, or red and may be seedless or filled with pale, edible seeds. Guavas are a great source of vitamin C, vitamin A, fiber, potassium and phosphorus. Guavas are popularly used in juices, jams, and desserts. Strawberries fight cancer. You can slice some into your breakfast cereal, beat them into a smoothie or just enjoy them as a fruit. 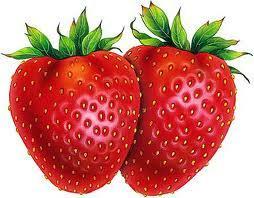 Strawberry helps prevent esophageal cancer and also contributes to heart health, decreasing the risk of heart disease. Hmm. I’ve never been able to get used to its smell though my family loves them. Grapes are smart fruits that are rich in polyphenol and reduce inflammation in the body. A number of health problems are attributed to inflammation, especially type 2 diabetes, hardening of the arteries and high blood pressure. Grapes profile stress relief to the body cells, blocking the compounds that cause inflammation. Grapes also help heart health while preventing cancer of the lung, breast and others. 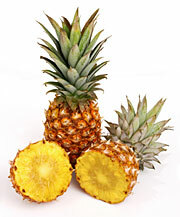 Pineapple contains bromelain, which helps pancreatic cells break down the food we eat and convert them into energy. It is also used to treat gastrointestinal disorders. And oh, pina coladas don’t count. This is one of my personal favorites. Wonderfully sweet with firm and creamy flesh, bananas come prepackaged in their own yellow jackets. They are one of the best sources of potassium, an essential mineral for maintaining normal blood pressure and heart function. An average banana contains 467 mg of potassium and only 1 mg of sodium, so eating a banana a day may help to prevent high blood pressure and protect against atherosclerosis. In addition to cardiovascular benefits, the potassium in bananas also helps promote bone health and kidney health, protects from ulcers and is beneficial to good eyesight. 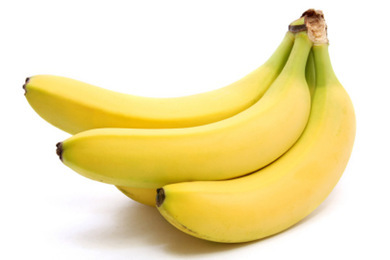 Bananas contain Vitamins B6 and C, fiber and magnesium. See? Not so tough to eat healthy. The great thing about fruits is they come ready to eat,no preparation involved…so there is really no excuse not to enjoy them. What is your favorite fruit and how do you enjoy it? If you are interested in juicing, I recommend a fantastic green juicing intensive clinic offered by Farnoosh Brock of Prolific Living. The Green Juicing Intensive Clinic is for you. Check it out. There is no bigger investment than in your health! After more than a decade in the corporate corporate work, I retired from my corporate career at 33 to focus on family. A change in priorities, and a passion for writing inspired me to start working from home and I am now living my dream as a writer and editor. I write content for clients, blog for businesses and edit manuscripts for publishers/authors. With six blogs of my own and published contributions across the web (The Huffington Post, PTPA, World of Moms, SheKnows), I write to collect smiles and donate to charities. I share stories about all the things I enjoy in life; parenting, mindful living, conversations, coffee, books, food, music, health, DIY, travel, photography and showing my diabetes who’s boss. Incorporating fruit into our diet, the proper way, gives our digestive system more powerful benefits through vitamin intake and improved digestion. A diet involving regular amounts of fruit will provide your body with antioxidants to help prevent free radicals from attacking the body. Fruits and vegetables are some of the healthiest and best tasting foods. One of the reasons I love fruits and vegetables is the ability to grab and go without preparation as a snack! 🙂 Thanks so much for coming by! I’ve never been over here, Vidya, but LOVE this! I am a fruit-o-holic and eat lots of it daily. I have a ridiculously expensive blender that claims to break ingredients down at its molecular level. Almost daily, I toss some combination of frozen blueberries, cherries, pomegranate seeds, papaya, mango, raspberries, strawberries, peaches and pineapple,some fresh oranges, a banana, half an apple, some yogurt, spinach, sometimes a carrot and some fruit juice (orange, grape or peach), blend it all up on my ridiculously expensive machine and drink some amazing concoctions. I’ll be back here to check out your posts on eating colors. Hugs! I look forward to seeing you here often. I just recently moved this blog from Blogger to self-hosted WordPress and what with the fall and all, haven’t been loving it as much as I should have. 🙂 That is about to change now! Thank you! Am off to grab a pear now! When I was a kid, my mom always mix guava, mango and pineapple together to make juice. They tasted so well! Papaya, Apple, and Grapes are my top 3 favorite fruits. But I also eat the rest. I am Vidya Sury and my mission is to help you stay healthy! 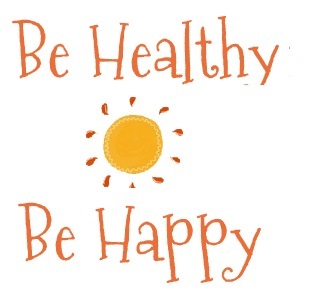 “Be Healthy, Be Happy”, this blog, does not provide medical advice, diagnosis or treatment. The information here is purely for information purposes. Please consult your doctor for medical advice, diagnosis and treatment. Copyright © Vidya Sury 2019. All Rights Reserved.